NORTH EASTON, Mass. 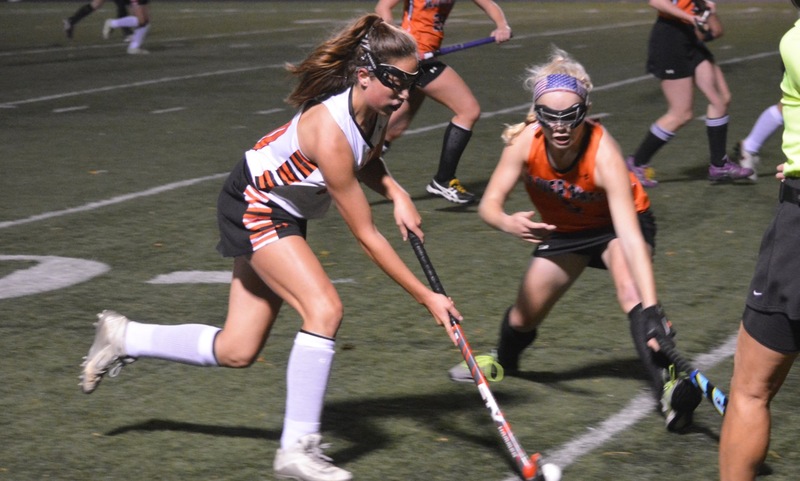 – Taunton’s defensive game plan for Wednesday night’s game at Muscato Stadium was to keep someone as close to Oliver Ames sophomore forward Hannah Stryke as possible. But, when the hosts got into transition, Stryke got free just one time and it turned out to be decisive. Stryke scored the opening goal with a little more than five minutes remaining in the first half and then junior Cassie Gennis tacked on a second after the break to give OA a 2-0 victory to keep the Tigers in third place in the division. OA got off to a great start in the game, recording a pair of shots on goal inside the opening minute. Gennis had one of the chances at the near post but was denied by Taunton goalie Emma Sheehan (four saves). Taunton started to gain a foothold shortly after and had the bulk of the offensive possession in the opening half of play. Alana Tavares had the first good chance with a shot from distance through a crowd in front that forced a kick save out of OA goalie Kara Ostrander. Gennis had a good look at goal 10 minutes before the break when she was left all alone about 15 feet from goal but she swung and missed when the pass came to her. Taunton nearly broke the deadlock four minutes later when Tavares fed Cierra Martel in transition, but her backhanded effort was swept wide of the post. Inside of a minute, the hosts had taken the lead. It was a quick break out of the back and freshman Georgia Costello flicked a pass into the path of Stryke behind the last Taunton defender. Stryke just beat Sheehan to the ball, with the two players colliding, and the ball rolled over the line. Taunton had another half-chance before the break, but Hannah Blackwell’s shot was wide of the post. It would be the best chance for the visitors until the final five minutes of the game. Despite Taunton breaking consistently through Bartel, Tavares, and Lauren Torres, the OA defense held firm. Led by Ellie Waters and Emily Han, the hosts kept Taunton from creating chances in the crease. Gennis had a chance saved by Sheehan shortly after the break, but just a minute later she put the game out of reach. Gennis reacted quickest to a loose ball in the circle and her shot appeared to take a deflection that wrong-footed Sheehan and rolled inside the far post. The visitors were largely comfortable at the back for the remainder of the game. Although Taunton gave up a pair of goals, Hathaway was complimentary of the defense’s overall performance. Taunton’s best chance to cut the lead in half with five minutes to play. Bartel got int space down the right side and sent a pass across the goal to Blackwell, but the ball bounced up at the last second and struck her leg before she had a chance to knock it in. 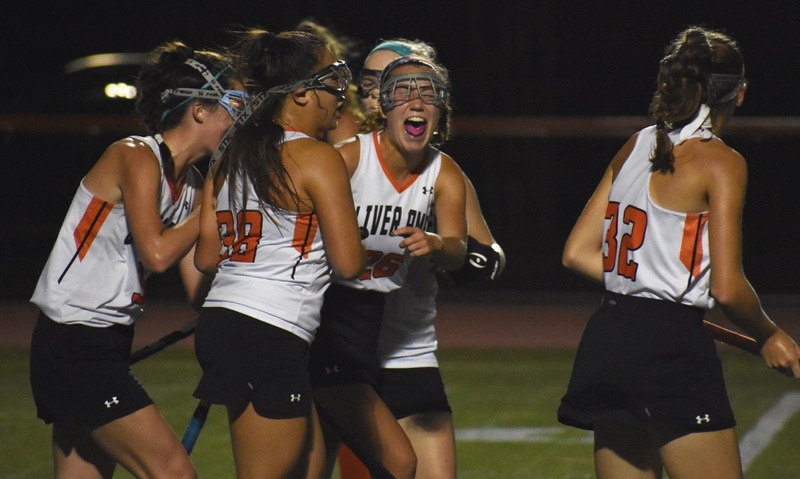 Oliver Ames field hockey (5-2-0, 4-2-0) will try to keep momentum going on Thursday at Sharon. Taunton (2-3-2, 2-3-1) will try to bounce back with a trip to Milford.